Where are you, Emily Post? Someone asked me this week if we were inviting people to our Thanksgiving dinner who are from outside our family again this year. I had to chuckle. Maybe it was a snort. It was probably a low growling noise from my husband. It all started with the best of intentions. . . inviting friends who otherwise didn’t have a place to celebrate Thanksgiving to join our family festivities. I should back up to add some necessary detail to the tale of the Turkey that almost Took us Down. My parents were both the only child in their families. I therefore have no aunts, uncles, or cousins. We have a family reunion whenever eight or more of us gather together. My family is extremely generous with time, talent, and financial generosity until it comes to a holiday. I broke the tradition a few years ago by inviting a household of friends to join us. What ensued still lives in infamy. Without rehashing the entire story, I wanted to share a few thoughts on how to be a good hostess or guest. Let your guests know what you are serving. If your family has three meat options alone, your vegan guest might want to know this. We have a family tradition of oyster dressing, which is how our Turmoiled Turkey Dinner began its demise. Are you aware of guests’ food allergies? I posted my menu on Pinterest this year. Then I invited everyone to choose their favorites. Consider the Big Picture. This year we will have young children. We will have family with physical disabilities. My mother’s Alzheimer’s symptoms are heightened when there is a lot of activity around her. The list goes on. It may help to write out the name of every guest and any special needs they have. When arranging the seating, a big question for us concerns the children’s table. My children loved this because they didn’t have to listen quietly to our boring adult conversations. I loved it because the food was generally kept at our table! Others feel left out or like they are second-hand guests. Ask instead of assume. For example, if things get crazy at our house I already have plans to eat in my bedroom in solitude. That is my dream plan, but you get the message. If you have more than one cook in the kitchen, consider a schedule for who gets the kitchen at what time. It is no secret that my husband and I do not cook together for any reason whatsoever, at any time, at all. I have been shopping and baking for days while he is traveling. Thursday he owns the kitchen. Do your tradition your way. I shared with a friend yesterday that I make a blueberry pie every year. I had the idea she thought I had Christmas and Thanksgiving confused. I explained that my grandmother would make a blueberry pie for nearly any occasion and I enjoyed carrying on her tradition. Plus, it is the one thing I can count on for a compliment! If no one in your family enjoys cranberries, why fix it? 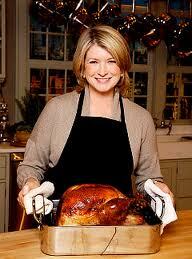 There is no need to have the appearance of Martha Stewart for one day out of the year. Get involved in a local outreach to others during this season. I had a great time with a friend yesterday as we delivered meals to people with MS. It is a blessing to them as they struggle to make ends meet. Food pantries usually run very low on supplies at this time of year. They need donations more than ever. Follow the KISS acronym – Keep It Simple, Stupid. I read websites and blogs that went so far as giving directions on how to display your toilet paper nicely. That is overkill for me, but I do make sure there is actually toilet paper in the bathroom. Some families use paper plates. When we married, I discovered our great differences came out during holidays. I believe the timeline goes like this: Sleep in, grab a bowl of cereal, watch the parades, graze over food that is ready to serve, lunch at 1 p.m., watch the Dallas Cowboys game, graze some more, see a movie, clean up dinner. My husband’s family believes the morning starts early, followed by brunch, dinner at 3 p.m., and then everyone sleeps. Neither family does Black Friday, so we do agree on one thing. If you are the chef, let others know your timeline – and choose to not be offended when others deviate from it. Accept help. I asked my 20-year old son if he wanted to make something for the meal. He surprised me by announcing he is making pumpkin cheesecake. I’m not a big fan of cheesecake, but I will be for one day. It is a challenge to have things for my mother to do at this point, but I am having her set the table. She is also the best asset for entertaining guests. I might even get her to play air hockey with the grandchildren. On that note, have a plan for keeping everyone entertained. If you do serve dinner late in the day, a walk is a great way to spend time together if weather permits. Do you have someone in the family who wants to show off what they learned in piano lessons last week? The Wii saves us every year. It is okay to have Ipods, cellphones, and other electronic devices out if it is a timeout from the chaos. Run the garbage disposal regularly! One famous Thanksgiving, we had my elderly grandmother, ailing father, and several other family members for the weekend. We didn’t know that our rental house had the world’s smallest garbage disposal ever. I’m certain of this fact. I also know that my mom believes in putting all the food in the disposal, then running it. Now I also know that Thanksgiving Day is the busiest day of the year for Roto Rooter. I learned this when lunch spilled out over the kitchen floor. Do invite others to join your dinner, despite hints of some of my interesting guests included in this post. We had guests one year who devote a great deal of time towards ending human trafficking. Their stories were compelling, riveting, and opened my eyes to real suffering. The word Thanksgiving took on a whole new meaning. Compliment the chef. Be gracious. Let me take it a step further. If you perchance do not like the stuffing, this is not the time to write that on your Facebook wall and Twitter account for several hundred mutual friends to see. Not that I know anything about that! Take home as much as you brought unless the hostess offers leftovers. They may have spent their monthly budget on this meal, with plans to make the leftovers last for weeks. You should bring more than a fork and a cooler for the food you intend to cart back home. I can’t make this stuff up! Help with the cleanup. Are you the one who mysteriously needs a 30-minute potty break after every meal? This should not be necessary to add, but don’t steal food out of the refrigerator while the host is away from the kitchen. Don’t bring your pet unless you have permission. I have heard that dogs particularly enjoy leftover turkey that is sitting out unattended.This is followed by the admonition to leave the boyfriend at home who hacked into your mom’s Facebook account at your Fourth of July picnic. Leave the political conversations back at home. Can I get an Amen? In general, don’t hijack the table conversation with stories intended solely for shock value. This isn’t the time to impress people with how well you think you can hold your liquor. I think that sentence stands very well on its own. Show up when you are expected. If I have to give you a time to arrive, I’m probably not comfortable with you seeing my in my p.j.’s. Otherwise you have been forewarned. Follow up the next day with a thank-you note. Above all, be thankful. And don’t be a turkey on Turkey Day!